Remember a while back when you received one of these? At the time, 2016 felt like a long way off. 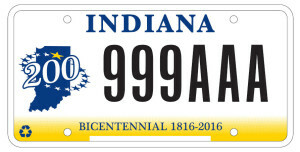 But to Sycamore Land Trust, it was time to get busy (well, even busier!). That’s because the Bicentennial Nature Trust (BNT) debuted in 2012 with $30 million in matching funds available for land acquisition. You can bet we were all over that. Combined with donations from our members and other donors, BNT has helped us purchase ten properties since 2012 (and we’re still working on projects throughout 2016). 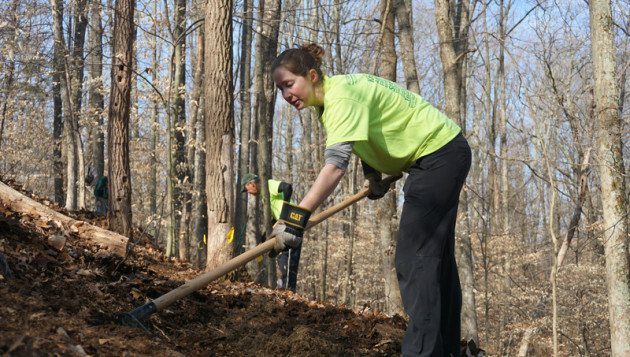 Lucie Parker volunteers with the Hoosier Hikers Council to build a new loop trail at Sycamore’s Laura Hare Nature Preserve at Downey Hill. Photo by Jim Shearn. Kathy Ruesink on a Sycamore hiking trip to Columbia Mine Preserve. Photo by Dave Simcox. The trail list includes nine Sycamore Land Trust preserves with trails of at least one mile. 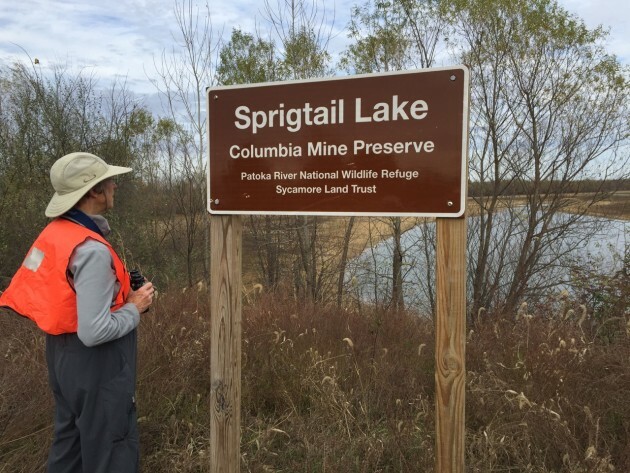 One preserve you should definitely check out is Columbia Mine Preserve, which fulfills BOTH of these bicentennial celebrations: it was the first property we purchased with BNT funds and it has two trails over a mile in length. The property is managed as part of the Patoka River National Wildlife Refuge. The refuge staff and volunteers have done a great job restoring habitat and building trails. Another preserve worth visiting is the Laura Hare Nature Preserve at Downey Hill. A two-mile loop trail is nearly finished, thanks to the Hoosier Hikers Council and Sycamore volunteers! The unfinished section is a bit rough but is marked, so visit anytime. So, sign up for the challenge, log your hikes, and share your photos and “tales from the trail” with us! Tag us on social media or send photos and trail reports to Katrina Folsom, katrina@sycamorelandtrust.org.